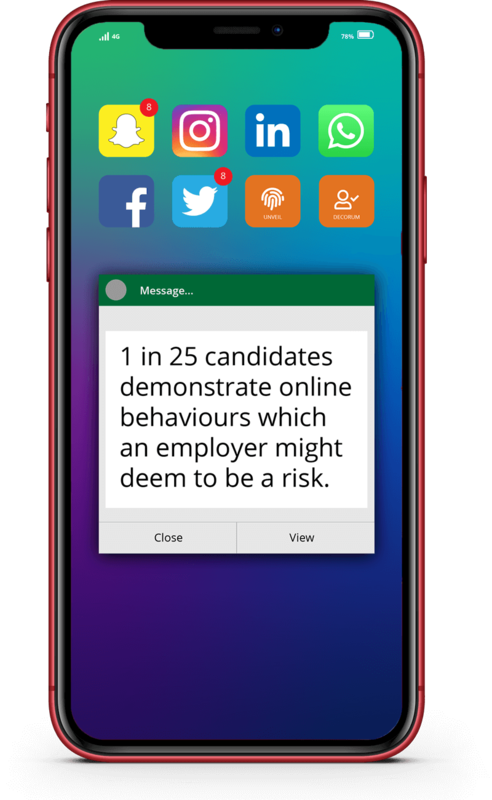 Based on the 7 key Index measures of online behaviour (Social People Index), our social media background check utilises powerful screening and online behaviour evaluation tools designed to fairly and objectively assess a candidate’s social media profile over a 2, 3, 5 or 10 year period. The background check result is presented in an easy to interpret report which highlights potential risk to an employer without breaching the trust of the candidate. Automatic coverage of 190 social networking sites, 25 professional networking sites, and >8 million web pages including Vlogs, Blogs and mobile specific Apps. Checks undertaken by highly trained operational researchers, experienced in the use of online searching and in the use of an extensive range of social networking and other sites. Discrimination: Remove the risk of discrimination which is prevalent when carrying out your own online searches.